Beaumont Health is planning to build a 100,000-square-foot, 150-bed mental health hospital in Dearborn. "This is a beginning," U.S. Rep. Debbie Dingell said Monday at the announcement at the health system's headquarters in Southfield. 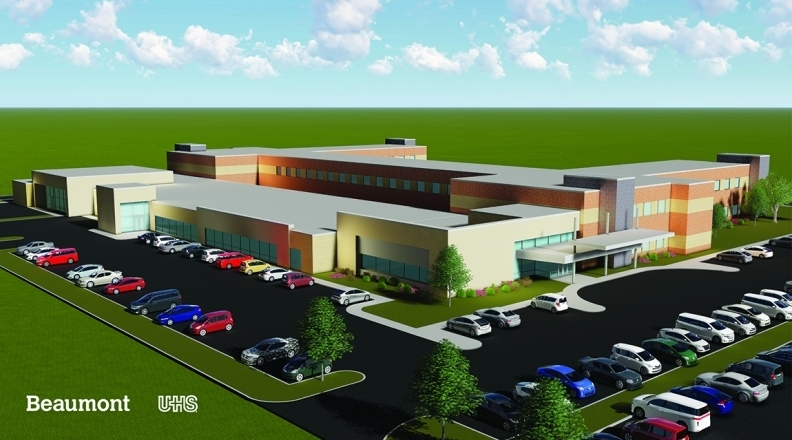 Pre-construction work has started for the centerpiece of Beaumont's mental health-focused joint venture with Pennsylvania-based UHS. They are developing a 100,000-square-foot facility across from Beaumont's 632-bed Dearborn hospital, executives announced Monday morning. Dingell, the Dearborn Democrat who has advocated for a national mental health strategy, highlighted the need for more comprehensive services for those with depression, anxiety, substance use and other mental health issues who have a tendency to fall through the cracks in traditional health care. She spoke during the Monday announcement, alongside Beaumont President and CEO John Fox and others. The for-profit joint venture encompasses a new three-pronged strategy to help fill holes in the region's mental health resource landscape, which includes the new hospital, new specialized academic training programs and expanded day programs and outpatient care. Its ownership will be an approximately 70 percent-30 percent split between UHS and Beaumont, respectively. But UHS will pay for the construction of the new hospital, said Diane Henneman, UHS's regional vice president. It will also manage day-to-day operations. Henneman and Lee Ann Odom, the president of Beaumont Hospital, Taylor are overseeing the effort. Construction is scheduled to begin early next year on 8 acres of empty land across from the 18101 Oakwood Blvd. campus. The facility is scheduled to open at the beginning of 2021. It will have 87 beds and grow to 150 when fully operational. Neither the hospital nor the joint venture have names yet. The hospital will have its own executive team hired by the joint venture likely around late next year, Henneman said. The general contractor and architect for the project have not yet been chosen. The joint venture hospital is expected to contribute $59.1 million to the region's gross area product; its estimated total impact on income is $99.4 million on businesses and industries in Southeast Michigan. The bulk of Beaumont's mental health services — for adult, pediatric and geriatric patients — will be consolidated into the new hospital. It currently has 87 beds at its three inpatient mental health units in hospitals in Taylor, Royal Oak and Farmington Hills, Odom said. Royal Oak, though, will retain some partial-day hospitalization services — around 12-18 patients per day — but its 30 inpatient beds will be moved. The new hospital, Beaumont's ninth, will serve those in need of inpatient treatment for mental illnesses, as well as outpatient services. Substance use disorder treatment will also be offered there for those diagnosed with a mental health disease. Officials at Monday's event specifically mentioned addressing the opioid crisis. The hospital will work closely with emergency rooms and offer assessment services 24 hours a day. UHS and Beaumont aim to shift those in need of specialized services away from visiting traditional emergency rooms, Odom said. Those patients are often stuck in the ER until they can get placed in a center with more capacity to provide services they need. "In our nine emergency rooms today we struggle," Odom said. "We believe it's better for a patient if we have a dedicated, specialized facility, versus care in a bunch of separate spaces, for coordination and care planning and care transitions." In Taylor, for example, Odom estimated that around 12 patients a day could be waiting to be transferred from an emergency room to a more appropriate center, and they often wait for days. Strain on emergency departments and those in need of mental health services are well-documented. 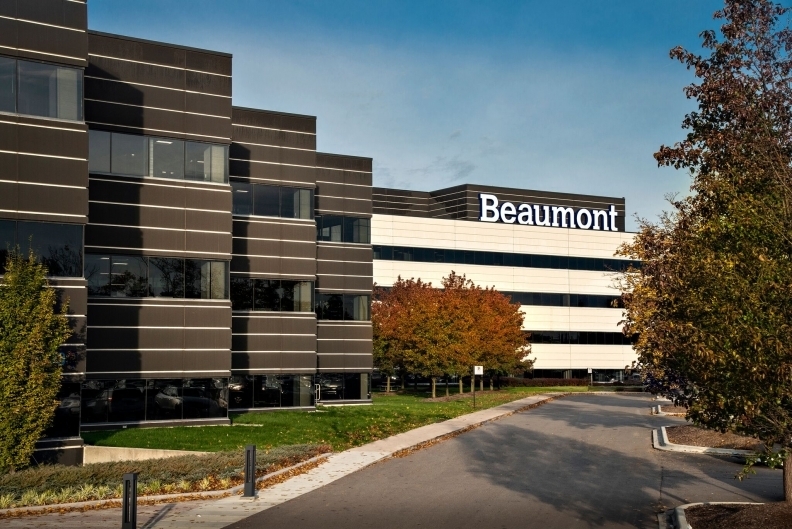 "It's regional, it's in every ER in Michigan, and it's national, but we basically said it's not going to get any better unless we do something very big and different," Beaumont CEO Fox said. The new hospital is expected to double Beaumont's capacity for inpatient mental health care, Fox said at the announcement event. "What we've done has been good, but it's not going to meet the current requirements and certainly not the future," Fox said after the event. The joint venture expects to staff the hospital with approximately 300 employees, about half of whom will be new hires. The others will come from existing Beaumont hospitals. Also under the joint venture, the two organizations plan to add new specialized Beaumont academic training programs and expand day programs and outpatient care. The hospital will house multidisciplinary teams including psychiatrists, internal medicine physicians, other specialists, certified clinical pharmacists, social workers, psychologists, therapists and other clinical support staff, according to a news release. Beaumont considered the option of creating the new mental health hospital on its own, Fox said. But UHS is a "national player" with specialized expertise that can make it "bigger and better," Fox said. Odom added that UHS also brings in the necessary capital for construction of the facility. The plan could also eventually include opening more outpatient centers to address needs in specific areas of Southeast Michigan, Odom and Henneman said, but additional details depend on how the initial facility takes shape. Beaumont also plans to grow its telemedicine program, using technology to offer remote health care access. It also wants to continue to grow specialized training, including adding Beaumont graduate medical education programs in psychiatry and psychopharmacology. Universal Health Services operates more than 200 mental health hospitals across the country, many under a joint venture agreement like the one with Beaumont. It has more than 350 facilities total in the U.S., Puerto Rico and the U.K. It has four locations in Michigan, according to its website: Havenwyck Hospital in Auburn Hills, Skywood Recovery in Augusta, Cedar Creek Hospital in St. Johns and Forest View Hospital in Grand Rapids. Mental health is increasingly on the minds of health of health providers and lawmakers as the cases of mental disease swell in Michigan and the number of resources shrinks. The $2.6 billion Medicaid mental health system has been subject of hot debate regarding privatization, integration and overall improvement strategies. Almost one in five U.S. adults live with a mental illness, according to the National Institute of Mental Health. About 44.7 million Americans were diagnosed with a mental disease in 2016. Gov. Rick Snyder approved a plan in 2016 to essentially combine mental health care, which is managed by 10 quasi-governmental prepaid inpatient health plans, with the $9 billion physical health system, which is managed by private HMOs. That plan was put on hold, and the future of mental health management falls on the shoulders of the Legislature and Michigan's next governor. Additionally, many mental health agencies that serve the Medicaid population in Southeast Michigan have been adjusting to payment changes begun four years ago by the state Department of Health and Human Services. MDHHS cut state Medicaid funding to the three county authorities in Southeast Michigan — Wayne, Oakland and Macomb — by more than 5 percent each year since 2013. Michigan mental health authorities argue that the state is shortchanging them by $100 million.